Please read the first post here: Can You Help Save Laurel and Hardy? Laurel and Hardy are getting better! Their appearance is beginning to improve slowly. Medication, the quiet environment, food and good nutritious care and cuddles are starting to work their magic. Laurel’s skin is already showing signs of healing. 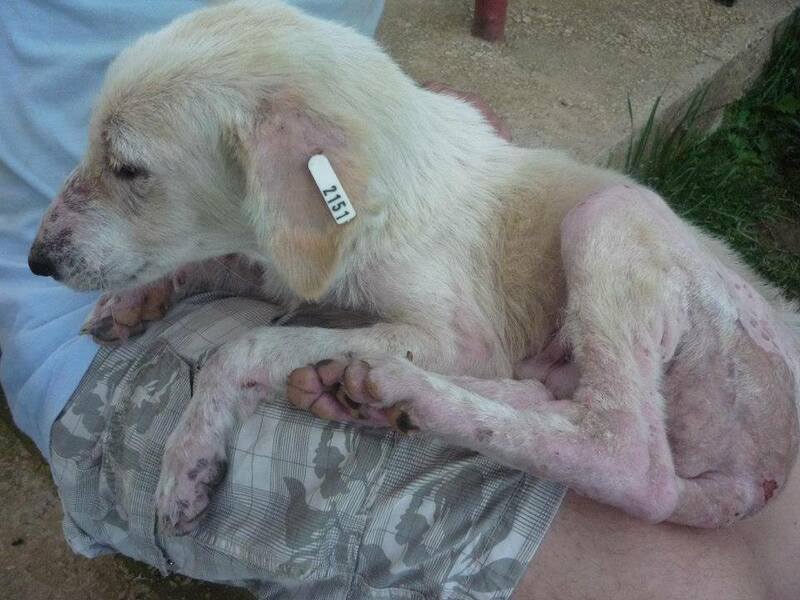 His wounds and demodex diseased skin is treated daily. Mia says he’s such a wonderful dog and will be a very handsome boy once his treatment is over. If all goes well, in three months they will be cured and ready for adoption. But we need to ensure they can stay on highly nutritional food and supplements and the veterinary medicine. 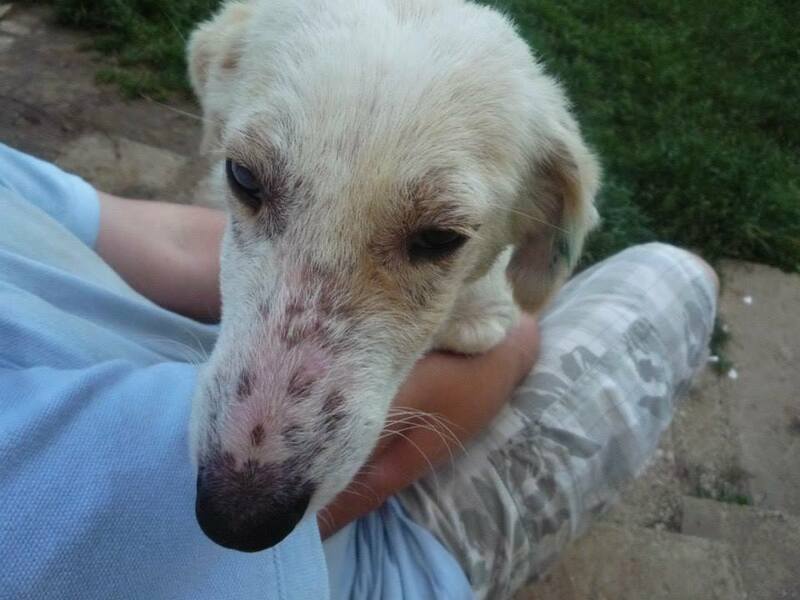 Donations have been generous and we are very grateful for this, but money is still needed for the veterinary bills, special creams and shampoos and vitamin supplements. If you look at the pictures, poor Laurel still looks so thin, but believe it or not he’s put on weight since he was rescued. 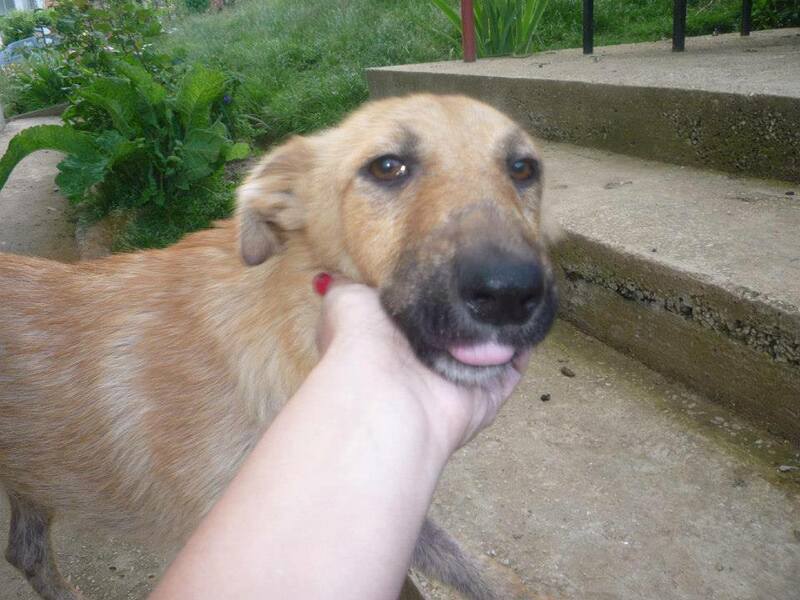 We are also looking sponsorship for a lovely old dog, Granny Bubi. This poor old girl 12 years old, belonged to a wonderful man, 86 years old, a hiker and retired high school teacher. He found her while hiking on a mountain. 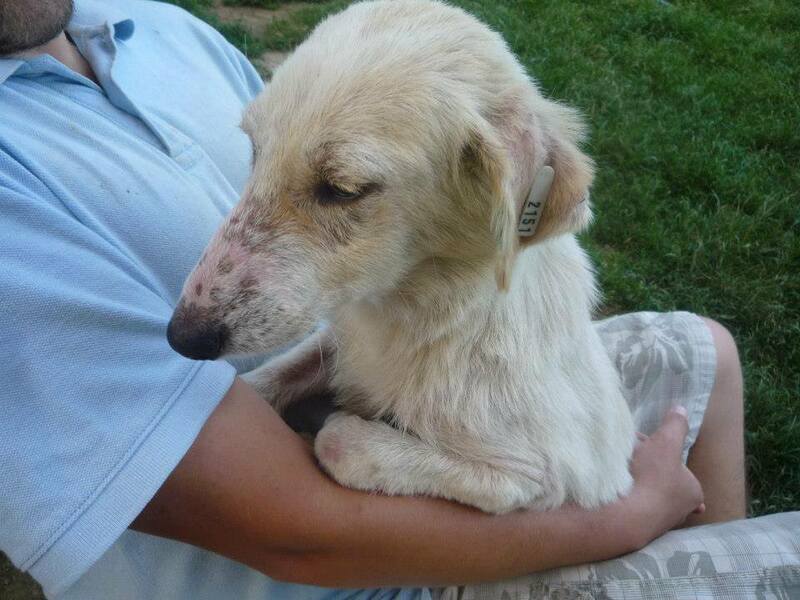 She was in a terrible state, with a very bad case of demodex (mange). Unlike so many others in Bosnia he did not throw stones or kick or ignore her or call others to help. Instead he took her home himself, all the way down the mountain in his arms. He looked after her inspite of the fact where he lived Bubi was not loved. His own family – his brother and his wife – said that when he dies, the dog will be kicked out. He paid for her care, and expensive veterinary surgeries out of his minimal pension. Two months ago, he developed cancer and was rushed to hospital. 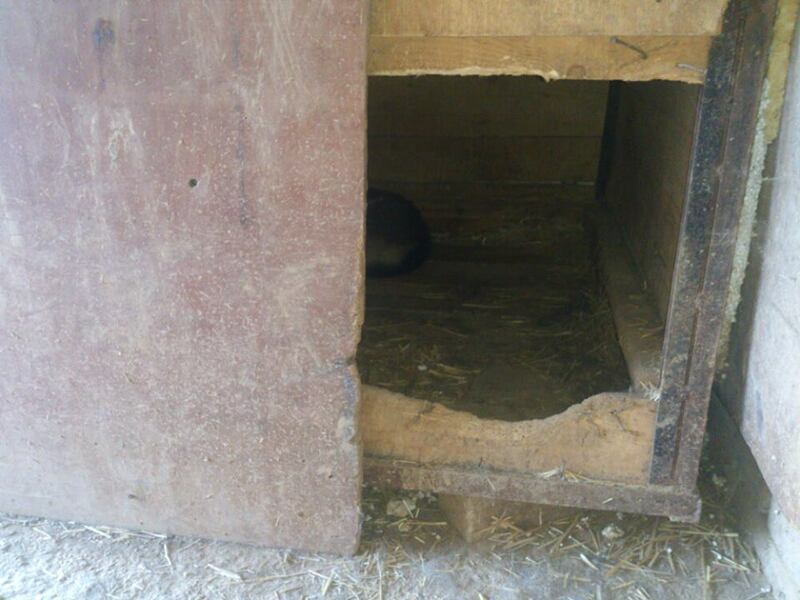 Although the brother and his wife knew that if anything happened to the old man they were to call the animal rescuers, they did not, they put her in a terrible kennels. For weeks Mia and others tried to find out where Bubi was, but were told lies. Finally they found her, but the owner of the pension said she was aggressive, sick and and that he will euthanise her unless she was taken away. 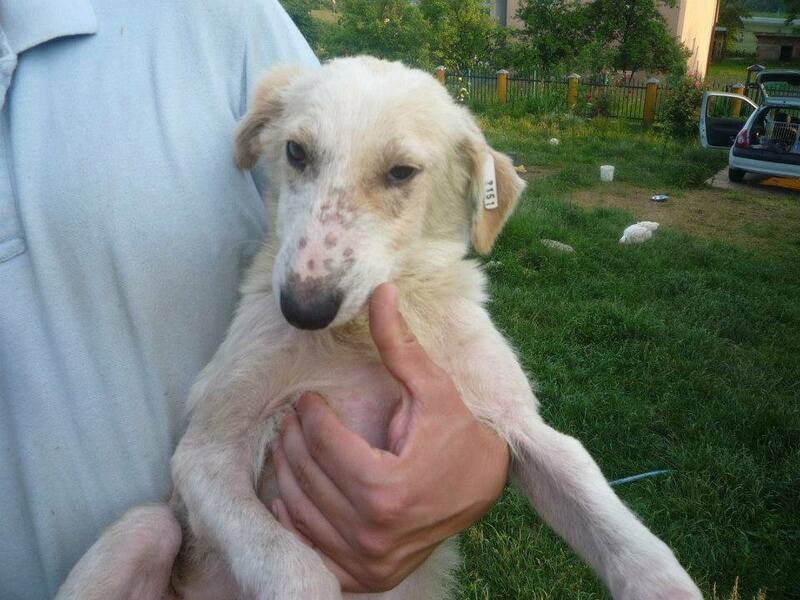 After much difficulty Mia went to the kennels and poor Bubi ran in fear, . 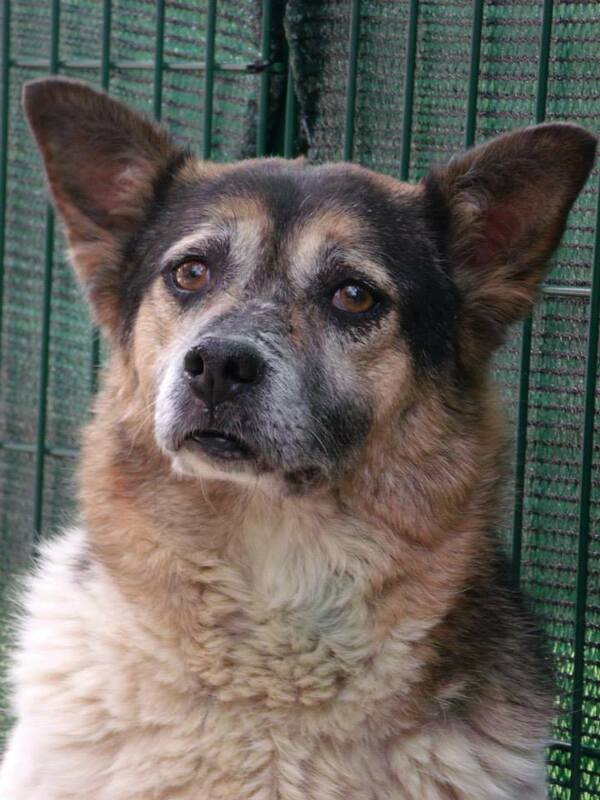 She was so scared and afraid Mia started to weep, that such a lovely once-cared for dog was in such misery. Mia found her a place in the wonderful King Pension, where she is slowly gaining her trust and confidence, and slowly healing. Mia is looking for a long-term home for her, but in the meantime any help is much appreciated towards the cost King Pension (120 euros/ 160 USD a month ). Please mark for ‘Bubi’. 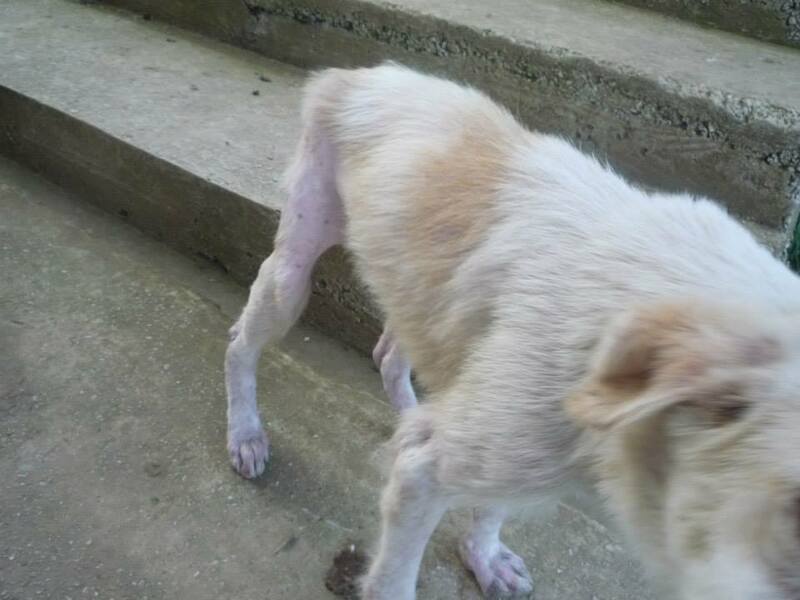 This entry was posted in Dogs needing home, Fundraising, Urgent - dogs needing help and tagged demodex by Sandra Jensen. Bookmark the permalink. I used Granny Bubi’s picture in a graphic… She has such a wonderful expression on her face. I call it in defense of a dog. The words come from a senator in 1870. 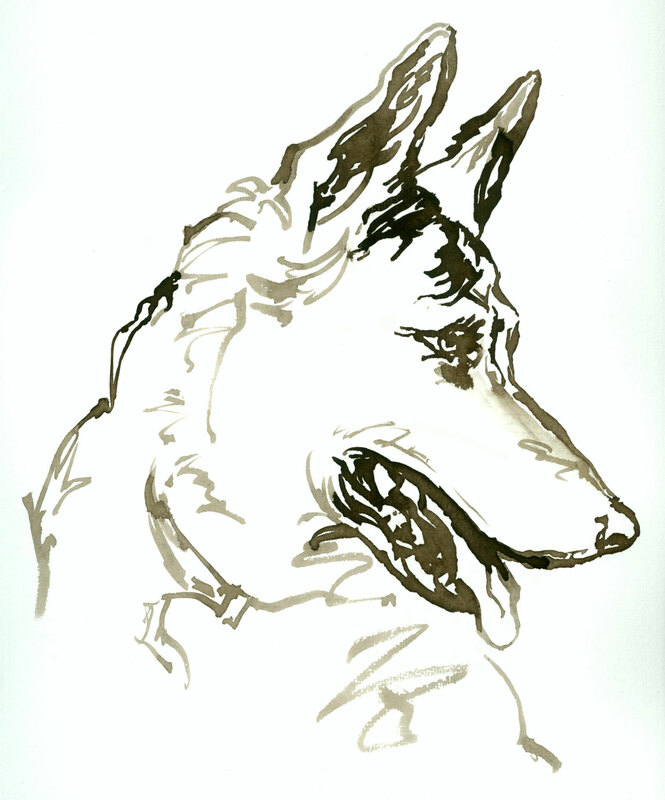 Much love to those who helped thesse beautiful dogs…..